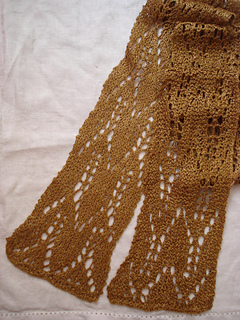 Gauge: 41 sts = 9”/23cm and 42 rows = 6”/15cm over pointed chevron lace using size 6 (4mm) needle. Take time to check gauge. Note: Knit first and last st of every row for selvage sts.